While the campaigns that shipped with Left 4 Dead were all pretty good, you do get sick of them after a while. Which is where custom, user-generated campaigns come in. 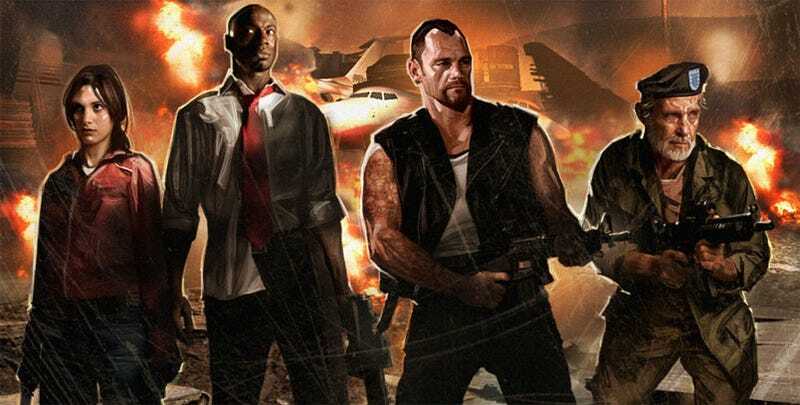 Next week, Valve will be updating Left 4 Dead so that these custom missions - like the Resident Evil 3 mod we showed you earlier in the day - are both more prominent within the userbase and are easier to download and play. You Got Resident Evil 3 In My Left 4 Dead! When creating or searching for a lobby, a new option named "Add-on campaign" will let you select from among the add-on campaigns that you have installed. You can then find games or lobbies as well as create a lobby for that campaign. You can invite your friends, too. If they do not have the campaign installed, they will automatically be offered and an option to download it. This is all going to be made possible via the release of the game's SDK (authoring tools), which after a stint in beta are going to be officially rolled out to the userbase next week. This update will include the source files for all original campaign maps, making both the creation of new maps and the editing of existing ones a lot easier for the general population. Of course, cynics may point to this as an attempt by Valve to silence the angry mob upset at the impending release of Left 4 Dead 2, and keep them happy with user-generated add-ons rather than official ones. Those cynics are welcome to their opinion; I'm of the belief that with these tools the mod community can come up with stuff just as good, if not better than anything Valve can come up with.